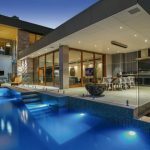 High-quality stone is the icing on the cake of a luxury pool job, and for this pool, the property owners chose the creme de la crème — Jolly Rogers Exclusive Stonecraft. 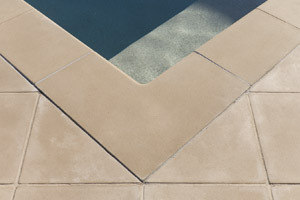 The pool owner decided to use Jolly Rogers stone products due to their flexibility and wide range of stone sizes. 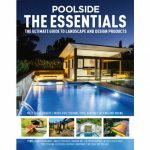 This included special pool products such as bullnose skimmer box surrounds with stone lid and dedicated corners as well as 600x350x50mm bullnose coping for the pool edge, 600x250x50mm coping for capping the feature wall/planter and 450x450x50mm Smoothstone pavers to continue the stone from the pool to the entertaining area. The natural shade ‘Latte’ was chosen as it complements the colour of the residence. 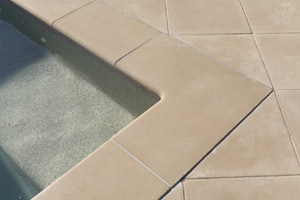 The stone’s surface is non-slip which is great for the young children who will be using the pool. The selected stone is also salt-resistant — especially important given the property’s close proximity to the beach and the fact it is a saltwater pool. Durability is an important factor in all Jolly Rogers products. Jolly Rogers cast stone is handmade from crushed stone aggregate and the highest grade cement. 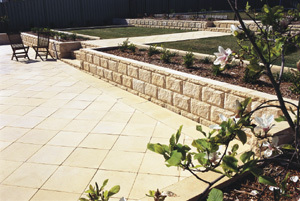 This makes the stone very hardwearing with a smooth fine-grain surface that gives the look and feel of sandstone. All Jolly Rogers stone products can be made in a wide range of natural stone colours that will suit most colour schemes. 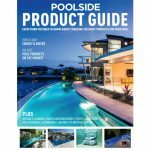 Cool underfoot, salt-safe and slip-resistant, Jolly Rogers cast stone is perfect for around pools and entertaining areas. 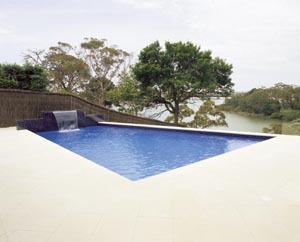 Jolly Rogers produces large format paving slabs, bullnose and square-edged pool copings with dedicated corners and skimmer box surrounds and lids, bullnose step treads, bullnose curves, wall and pier capping, stone architraves, rockface blocks and veneer, benches, pots and planters. 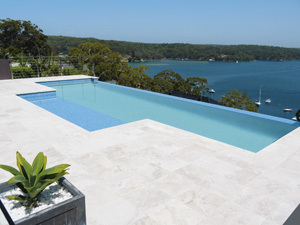 With more than 20 years experience, Jolly Rogers is a specialist when it comes to the manufacture and supply of stone paving and pool surrounds.The company expanded its paving and bullnose coping range to include a wide selection of natural sandstones, limestone, travertine, granite and basalt as well as various stone wall cladding feature tiles, cobbles and pebbles. With a national network of agents, call Jolly Rogers when you need a quality stone product for your next landscaping or pool project.